He is cool, evolved, intelligent, stylish and his sense of fashion just reflects that. We are talking about Farhan Akhtar who we spotted at an event. 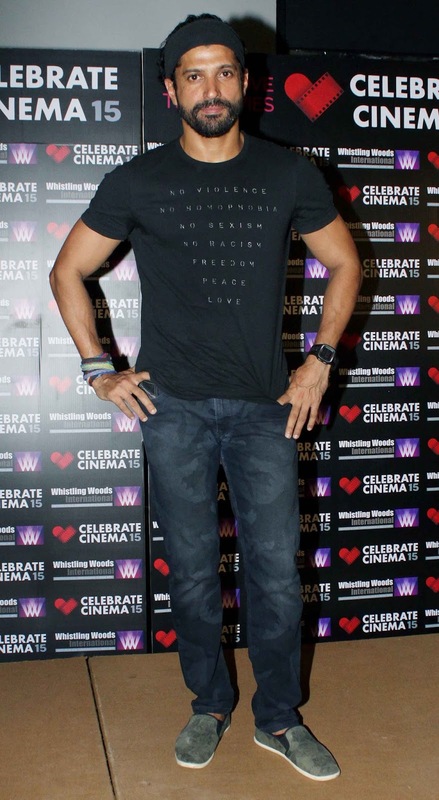 Dressed in a black t - shirt, grey jeans & sporting a bandana, Farhan does a great job with this casual look. We especially loved the profound words on the t-shirt. Tell us what do you think about his look in the comments section below. Aishwarya stuns in Navy and Silver ... whoa !!! Wow, We Just Loved Shilpa's look !! !